There are many games that rely on dice. Such games include Yahtzee, backgammon and multitudinous others. We expect that these dice will be “fair” and that each is as likely to land on any of their six sides. But, according to Michelle Starr reporting for Science Daily, probability wasn’t always a concern when it came to the roll of the dice. 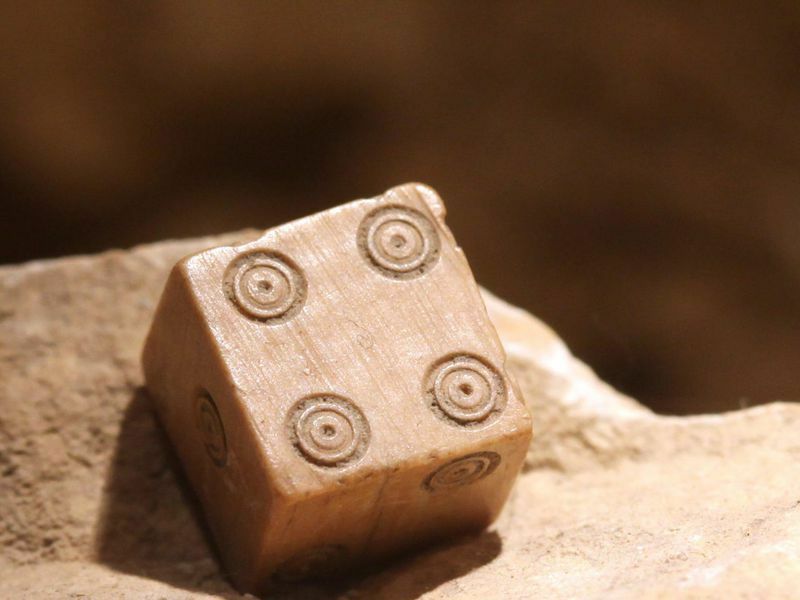 A study analyzed dice dating from the Roman era to the 17th century. It found that the ubiquitous little cubes have become increasingly uniform over time and they have become increasingly fair. Researchers studied 110 dice from museums and archaeological depots in the Netherlands. The researchers were from the University of California, Davis and the American Museum of Natural History. They compared the 110 dice to 62 dice from the United Kingdom. They described this intriguing evolution of dice over the centuries in the study published in the journal Acta Archaeologica. The researchers found that dice made before 400 B.C., or during the Roman era, were large. These dice typically adhered to the “sevens” configuration. In this configuration, opposite sides add up to the number seven (1-6, 2-5, 3-4). This is the configuration commonly used today, but unlike the symmetrical cubes that we know, Roman dice were highly irregular in shape. They were made from a variety of materials. These materials include bone, metal and clay. And they were often squished and lopsided. 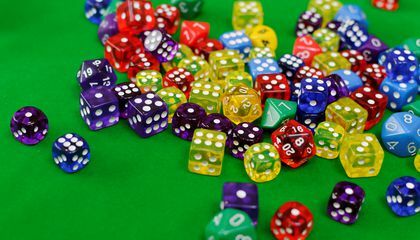 According to the researchers, it is possible that ancient Romans deliberately used irregular dice because they thought it would help manipulate the roll. But it might also be true that Romans weren’t particularly concerned about the shape of their dice. They may have believed that the outcome of a roll was determined by fate. Dice became more standardized starting in 1100 A.D., suggesting that European gamblers became increasingly concerned about rooting out players who tried to gain an advantage with unfair dice. The cubes got smaller, which led to a change in design. Previously, a die’s “pips,” or dots, were surrounded by two rings around them. In the 12th century, there was room for only a single ring. The configuration of dice also shifted to a numbering style popular in ancient Egypt and Mesopotamia. This saw opposing sides of a die add up to a prime number (1-2, 3-4, 5-6). During the Renaissance, dice underwent yet another significant change. Starting around 1450, they became less regular in size and pip style, but more standardized in symmetry and configuration. This was a shift back to the “sevens” system. The increasing attention paid to symmetry in particular may have been driven by new knowledge of probability, a field of mathematics that blossomed during the Renaissance. Dice also offer insight into the transmission of knowledge throughout northwestern Europe. While ancient dice were quite irregular, later dice were standardized. This suggests either that there were a small number of die manufacturers, or that manufacturers were staying faithful to culturally transmitted rules about die production. Then, of course, the changing roll of the dice itself, suggests shifting worldviews in Europe. I do not think dice are fair because like it has to be meat up because I never rolled a 6 before.